When we enter Santa's village we get a hand stamp and every child gets to wear a cute elf hat, so they can be an "Elf for a Day". Both my children enjoyed wearing their hat the whole time. The roller coaster that resemble Santa's sleigh is super fun, we rode it a few times as Rudolph led the sleigh and moved us up, down and sideways. I am glad the staff at Santa's village ensures safety first and check the roller coaster multiple times before we get to ride it. If it rains the roller coaster ride is closed. Santa's chapel on top of the hill is very scenic. We enjoyed the entertaining village stage and participated singing along and doing the actions to the songs and stories. They have days where entertainers such as Marcus from Treehouse, Dan the Music Man and more coming in; check their site for details. We enjoyed playing mini-golf in the cute golf area. My children liked feeding the friendly animals in Santa's Farm. There were goats, llamas, chickens, sheep, cows and more. Meet Santa and Mrs. Claus, to have a chat and take pictures. The detailed Santa's house is very cute, we found it to be realistic as we imagined how Santa's house would look like with a place for him to write, the clocks etc. They have face painting and carnival games. When we play the carnival games there is a winner each time. We love paddle boats, so enjoyed paddling the swan on Lemonade Lagoon. 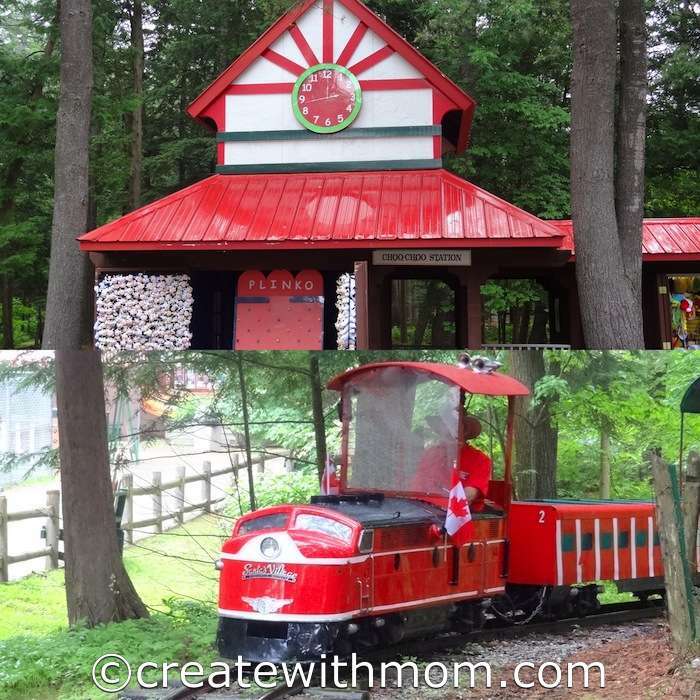 The scenic ride on the train is fun for both children and adults. The festive looking spray and play beach is perfect to cool down during the summer heat. There is a change room right beside the splash pad. This year, Santa's Village splash pad has tripled in size so be sure to check it out. We enjoyed watching the cute Sleigh Ride 3D movie in their cozy theatre. We found this movie to be funny with only actions and sounds, and no dialogue. Kids enjoyed the ATV Peddle carts, as they peddled fast around the track. The Moonwalk bounce, Red Barron bi-plane ride, Star Kiddie dropper ride and the slow Carousel were other fun entertainment that children liked participating in. They liked it so much that they did the rides at least a couple of times before we left. We really enjoyed Santa's Summer Sleigh Riverboat Cruise that took us on Muskoka River. It was fun to sing along to the cheery songs and enjoy the breeze during the cruise ride. Take a ride with Captain Ricky who has been riding the jet boat since 1980 this season, as it would be his final voyage into retirement. He mentioned that he will be sure to train a new "elf" into this position for next year. 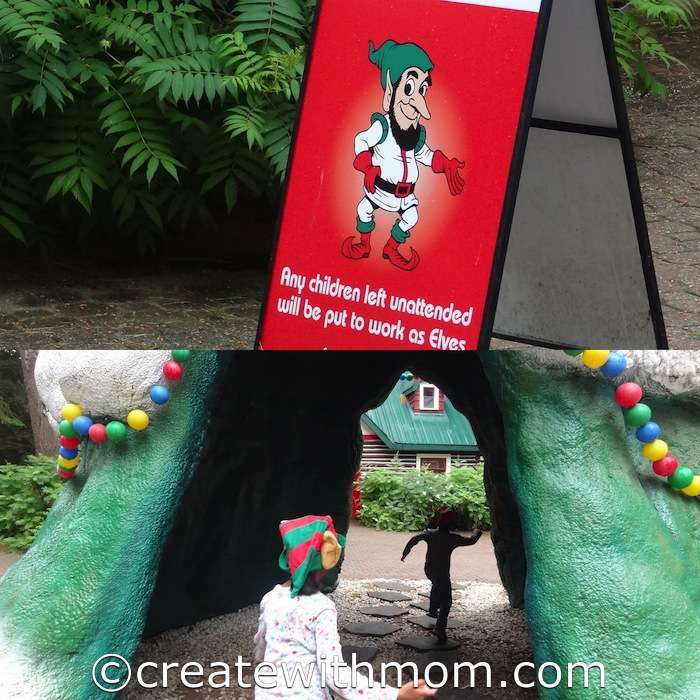 The peaceful Elves Island is spacious play area that kids will want to spend lots of time in. They also have a very cute Crayola colouring wall. 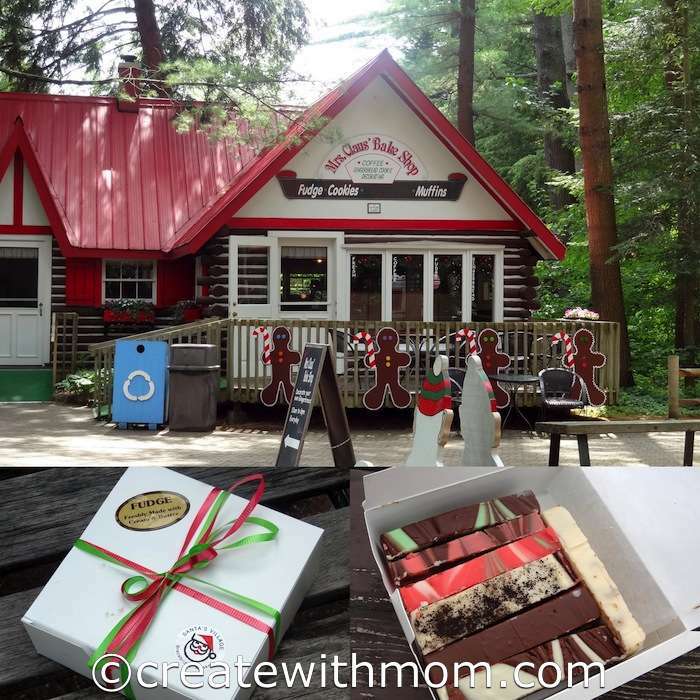 At Mrs. Claus' Bake shop, she has yummy bake goods, fudge, coffee and more for us to enjoy. 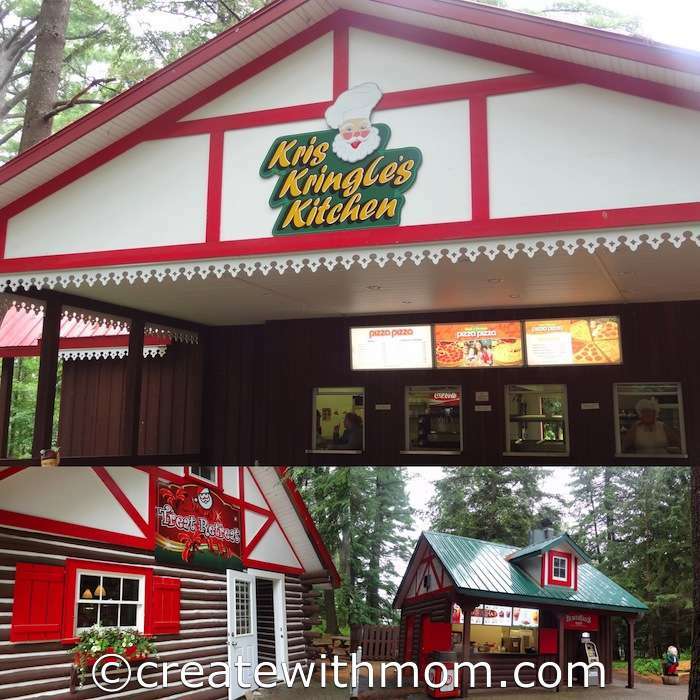 If you get hungry get something to eat at Sugar plum sweet shoppe, Beavertails, Treat Retreat or Kris Kringle's Kitchen. If you have older kids or want to be part of rides and activities like go-karts and laser tag then pay-as-you-play at Sportsland by Santa's Village; more about the fun at Sportsland in my upcoming post. Now you know what Santa does in the summer :) Get on Santa's Nice List by signing up to get the latest news, contests and offers. When you sign up you will get an email right away to buy 1 ticket and get 1 admission 50% coupon to visit him this summer until September 8th. 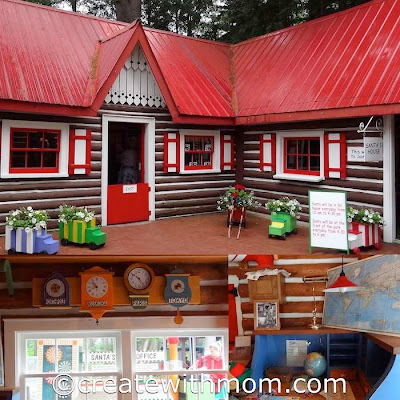 Santa's Village nestled in Muskoka's enchanted forest is halfway between the North Pole and the equator on the 45th parallel, which is about two hours drive north of Toronto. If you want to win a chance to check out Santa's Village for yourself, then enter the giveaway through the rafflecopter below and win 4 tickets. 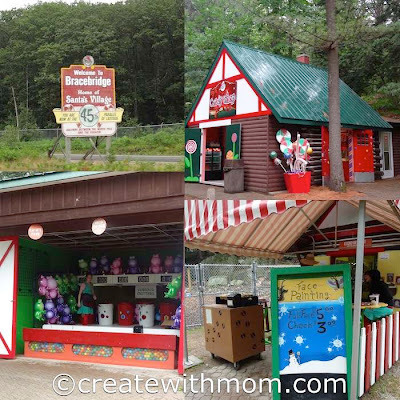 This giveaway is open till August 1st to everyone in Canada who can visit Santa's Village in Muskoka; here are the hours of operation. Follow all the social media links and leave comments to be eligible. Winner will have 48 hours from the time of contact to respond if they want the prize. Ontario! And the paddleboats, my son has been obsessed with them! I live in Ontario, and my kids would love the splash pad! I am in ON, would love Red Barron bi-plane ride the most. I live in Ontario. I think my family would like Santa's Summer Sleigh! Oh, that looks like soooo much fun! Will be taking our grandson to Santas Village,so I hope we win!! We will be bringing our grandson to Santas Village,so i hope we win!! We are in Ontario!!! Our kids would love the roller coaster n splash pad the most!! We are in Ontario!!! Our kiddies would loveee the rollercoaster and splash pad!! I live in Ontario. Would love to have another boat ride with "the big elf" before he retires!! I hope he has not left yet! Also love feeding the raindeer and other animals!! We live in Ontario 10 minutes from Bracebridge. The train ride would be my children's favourite. They LOVE trains! 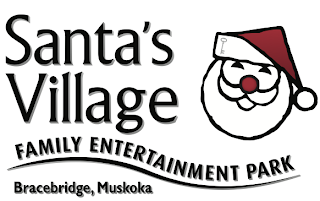 We live in Ontario and I have such fond memories of visiting Santa's Village when I was younger. Now it's time to pass on some great ones to our 4 year old son. We visited in December and it was fantastic with all the reindeer games. In the summer, I know he'd love to take a boat ride on the Muskoka River with Santa! We live in Ontario and I have such fond memories of visiting Santa's Village when I was younger. Now we'd love to pass on these memories to our 4 year old son. Our last visit was in December and had a great time in the fresh snow, played reindeer games. 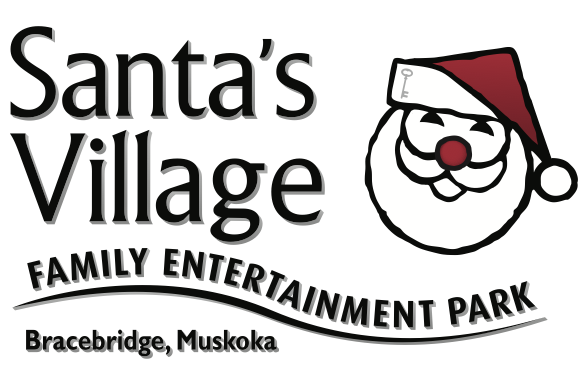 This time, our son would love to ride on the boat with Santa down the Muskoka River. I live in Ontario and I would love to go on the swan peddle boat with my daughters ! We live in Ontario. Oh man , since my little guy is exploring everything new which is so exciting it is hard to say which would be the most excited to venture. I would say the Splash pad , and the reindeer . For me( mom of course) the sweet shop for sure. Older brother would be the sports zone the go-crts for sure. We live in Ontario and last year our favourite ride was the rollercoaster! We live in Ontario and my daughter would love the rollercoaster and my son would love the train. The last time I took my children to Santa's Village was about 9 years ago...they were just tiny and don't remember the trip. I would love to Take them back on a family trip this year. The train ride was my oldest son's favourite part way back when, Im sure the go carts would be a big hit for all three kids now. Ontario. Pam B. WE live in GTA!! I love Christmas and have never been here before! Looks like a blast! GTA and elf mini golf!! 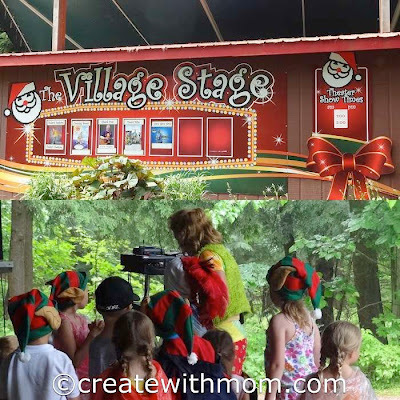 We love santas village, I went as a child and I have taken my children since they were babies, and at 10 and 6 they still love it. I am in North Bay Ontario... Our favorite part is the water park. We live in North BAy Ontario and my parents took me when I was a child and we have taken our children for the last 10 years and they still love it. Our favorite part is the water area!! I live in Ontario and I would most like to see my kids faces when they get to see Santa and Mrs Claus!!! Priceless! We live in Ontario and I would LOVE to see my kids faces when they see Santa!!!! 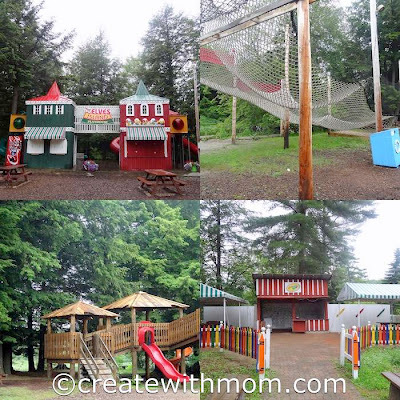 we live in timmins Ontario we come every year or two to santa village planing to come sometime in late august this year..
Looks like a lot of fun for the kids! I am in Ontario and haven't been to Santa's Village since I was 3. But still remember the swan boat and would love to take my nephews for some great childhood memories for them! I live in toronto..heard this for the first time...Maybe i will take my kids there this summer. I live in Ontario. I have never ever been to Santa's Village, I have no idea what ride I would like best. I live in Ontario. I haven't ever been to Santa's Village, and have no idea which ride I would prefer. Love Santa's Village! Remember it when I was a kid. I think Miss R would love Elves Island! I live in Ontario. 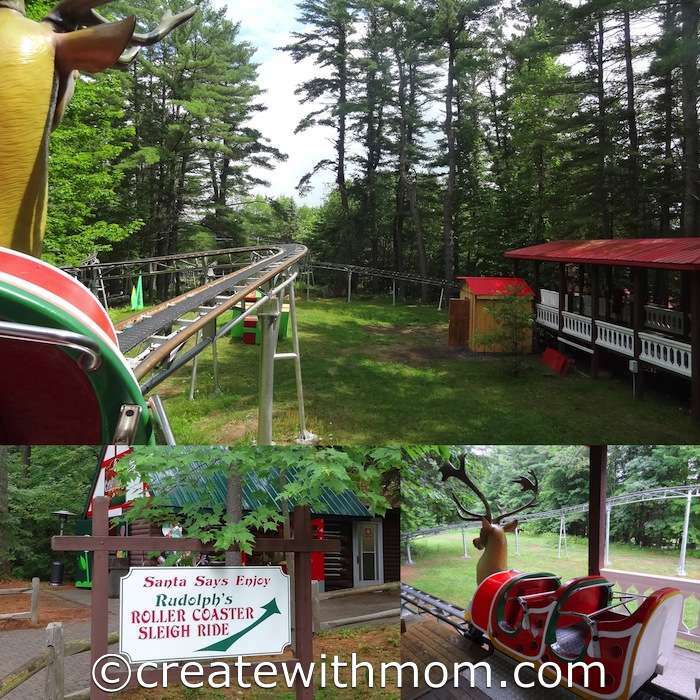 I think we'd really enjoy Santa's Summer Sleigh Riverboat Cruise. I'm in Ontario & we'd enjoy the mini golf.